Add the eggs, one at a time, while beating. Mix the buttermilk with the almond extract and Amaretto in a measuring cup. 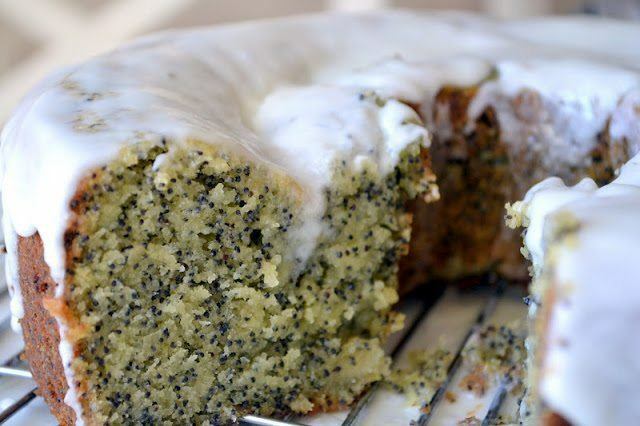 Whisk the dry ingredients together in a small bowl with the poppy seeds. Add the dry ingredients alternately with the wet to the butter, beating just to combine. Spoon the batter into a greased tube pan and smooth out the top. Bake for about 45 - 55 minutes until a toothpick comes out clean. Tube pans vary in capacity and shape, so baking times will vary as well. For the glaze mix the confectioner's sugar with enough milk or cream to thin to a glaze consistency, and add in the extract. You can also use Amaretto to thin the sugar if you prefer. Sprinkle a few poppy seeds or sliced almonds on top if you want to.